Yelp is one of today’s most popular online review sites, with the unique power to influence purchase decisions and consumer behavior. As of its latest count, the site has collected over 171 million reviews of almost every type of local business, making it a great source of information for consumers looking for a place to eat, stay in, check out, and discover. A few years ago, Yelp enabled users to send messages directly to businesses. With the “Message the Business” or “Request a Quote” feature, Yelp users can message businesses directly with questions about the business or their services, such as those involving pricing, availability, offerings, or anything else Yelpers may need to ask. If you’ve claimed your business page, you may be receiving notifications that Yelpers have sent you a message using the Message the Business feature (or for certain categories, it will appear as “Request a Quote”), which allows potential customers to start a conversation with you. If you go 7 days without replying to a new message and you have not responded to any message in the past 30 days, the feature will automatically be disabled and Yelpers will not be able to proactively message your business. To re-enable Yelp messages with users, you must reply to a message or quote request (or mark as replied if you’ve already done so via phone/email/other). Depending on the category of your business and whether or not you have the feature enabled, users will see either a “Request a Quote” or “Message the Business” link below your contact info. As a business owner, you get notified of messages from Yelpers via email or your Yelp for Business dashboard. 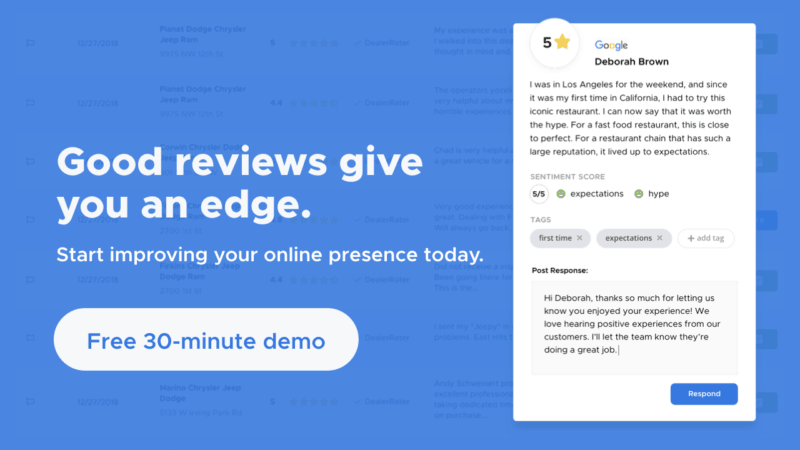 You can log into your dashboard to reply, but you can also respond directly to the email message without having to log into your Yelp business account. Just to make sure that Yelpers have the right expectations, your average response time will be displayed whenever they send you a message. Click the camera button in the bottom right to upload up to five photos to attach to your response. When you receive an email notification that a Yelper has messaged you for the first time, you can simply reply from your email service (but your email address is not shared with the Yelper, and your message will appear on the Yelp website as if it had been written there). You can only reply via email to the initial message from a Yelper. You’ll get an email if they reply to your response, but to continue the conversation you’ll need to go to your inbox on Yelp for Business Owners or use the Yelp for Business Owners app. Yelp’s messaging feature is a conversation starter, providing a way for businesses to interact and engage with existing and potential customers. The ability to message Yelpers is also a great reputation management tool. After all, consumers value responsiveness, and if your business can communicate actively, promptly, and efficiently with Yelp users (either by responding to reviews or to direct messages), you’ll be able to boost your image on Yelp and show the community that your business listens to customers. This messaging service is great. Now I have an option of inquiring about the service anytime. i don’t need to call them by phone or visit the place in person. This saves me a lot of time and also provides the business runner the excellent option of instant reply. A great feature for sure. It seems Yelp is constantly evolving. It is nice to see that they stay on top of meeting the ever changing needs of consumers and business owners. Is it possible to set messaging hours. The majority of messages I receive are in the middle of the night or on weekends. My business is open Monday-Saturday from 9:00-6:00. It would be awesome if I was able to set a default message outside of our operating hours. I would state something like “the business is currently closed and will respond to when they open on their next business day”. Mike, I agree. That would be a useful parameter. Yelp, are you listening?